Could you have fleas in your home? Although fleas are not the only reason that a pet might be scratching, they are a pretty common cause of general itching. If your pet has broken or damaged skin, always check with your vet but otherwise, giving a flea treatment is a good first step. Remember it’s not always easy to spot fleas and they can be present without you being aware. Fleas are super-fast and that makes them hard to spot. They are also tiny – just a few millimetres long. On black or brown dogs it can be especially hard to see fleas and you might just catch the movement out of the corner of your eye. This isn’t pleasant but in fact often what you see in a pet’s coat are little specks of black dirt – this is often flea faeces left behind by the flea. Because the flea has fed on your pet’s blood if you put one of these specks on a damp piece of white tissue or cotton wool it will turn reddish brown. It’s one of the best ways of spotting that fleas are around without seeing an actual flea. Cat and dog fleas will bite humans and quickly realise that they have nipped the wrong host. But that can leave you with angry red spots often in the parts of your body that are closest to carpets, soft furnishings and pets where the fleas are living. Most of the flea lifestages take place away from your pet. A flea lays eggs after taking a blood meal and these tend to slide off your pet onto the floor. Flea larvae resemble little white caterpillars although these are hard to spot as they usually hide under carpets and skirting boards. 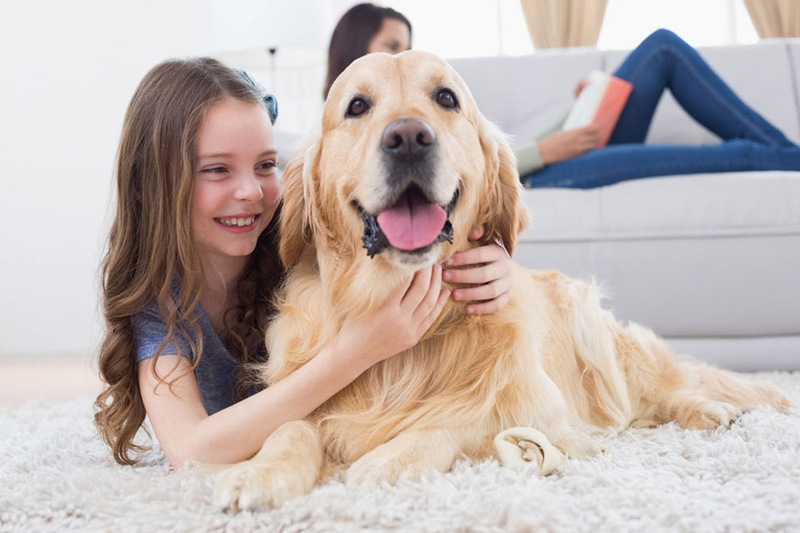 Of course, while fleas are hard to spot, it’s not hard to treat your pet regularly throughout the year with FRONTLINE® Spot On or FRONTLINE® Plus to help prevent infestations from developing in your home and on your pet.